In the Fall of 2016, the Division of Forestry and PNPP jointly launched Providence Citizen Foresters. The program trains residents to act as stewards of the city’s young trees and offers the opportunity to engage directly with the urban forest in order to help our tree canopy flourish! Volunteers who complete the program are authorized to prune and maintain young city street & park trees, in accordance with PCF policies and guidelines. To read about becoming a Providence Citizen Forester, click here. If you would like to organize a Neighborhood Street Planting through PNPP, submit an application proposing anywhere between 5-25 new trees within a relatively condensed area. If you are unable to organize a planting yourself but would still like to help out with a Neighborhood Tree planting, look out for the schedules on the PNPP website (plantings take place twice a year, in April and October). For instructions on how to organize a planting, click here or visit www.pnpp.org. 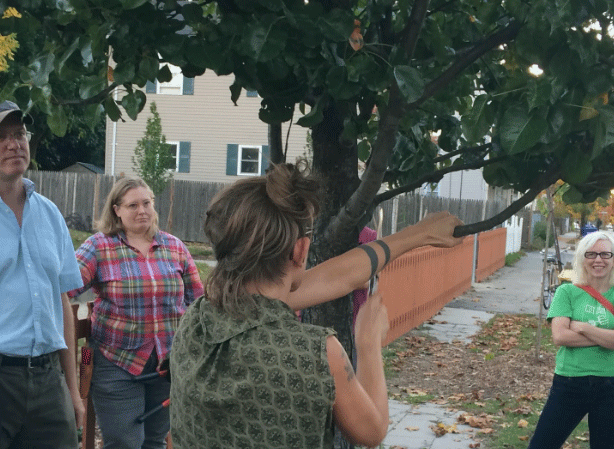 For more ways to get involved with Providence’s Urban Forest, contact our office at (401) 680-7254.